We love surprises just as much as the next person. So when we stumbled across the house that we will explore today, we were truly pumped. There's something about a seemingly demure-looking facade that is housing completely unexpected interiors that absolutely catches our fancy. Today's 360° project is a home that reflects and indeed, to a certain extent, defines the identity of the residents. It adopts a distinctive version of modern industrial design while paying homage to many elements from the classic style. Characterised by its extensive use of wood and unusual but balanced structural features, the house gives out a warm and laid-back vibe that hints at living a playful life. 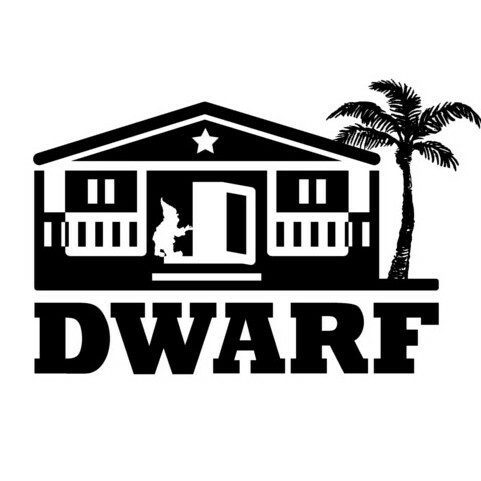 This unusual home has been designed by Japanese architects dwarf whose watermark is their eclectic blend of wood and American pop cultural elements to create a space that is not just aesthetically pleasing but makes for a great conversation-starter! Curious yet? 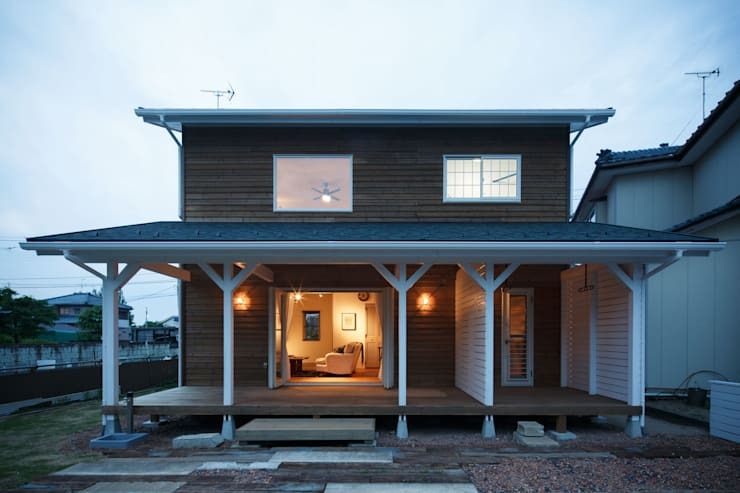 The simple house sits inconspicuously in a neighbourhood in the Niigata Prefecture of Japan, close to both the sea and the mountains. From this view, we see the backyard of the two-storey house that opens out onto a generous courtyard. It was important for the environment-conscious owners to incorporate green zones throughout the home—both outside and inside. Notice the walled-off section on the ground level, which separates the living area from the kitchen. The raised wooden deck ensures that it is not damaged by the elements or pests. It is also an ideal spot for the family to relax or entertain guests. Our first glimpse of the interiors reveal a space that dazzles with details everywhere. Wood is used everywhere—from the floors to the walls to the beams that have been painted white adding an altogether different layer to the visual appeal. The high ceilings also impart a sense of openness and freedom, a feeling that one normally associates when on a holiday! The open-plan layout then works beautifully here as it adds to the cosy vibe while maintaining an unbroken unity. The decor scheme—which we'll take a closer look at in a minute—is inclined toward industrial that has both modern as well as classic features. Let's take a closer look at this edgy yet simple kitchen. There's a lot going on here but an overload of the senses is avoided by tying the whole space together with the use of wood. The ceiling and flooring practically mirror each other but this is gently interjected with the white-painted wooden walls. The elegant use of wood lends a natural warmth to the industrial cool of the space.Industrial design is usually defined by its raw textural appeal—exposed concrete, brick and tiles are all major components. The architects have incorporated all those elements here to create a rather captivating kitchen. To build your own dream kitchen, get the help of our experts. This gorgeous bathroom design almost has a coastal feel to it that is both modern and serene. The architects had only a limited space to work with so they chose to stick with the basics and keep the design largely minimal. But minimal does not equal boring. The ocean-coloured wooden walls take centerstage and perfectly complements the wooden accents spread throughout. The vertical panels also makes the space appear loftier. Both the vanity and mirror have been pared down to the bare minimum but still manages to charm your socks off. 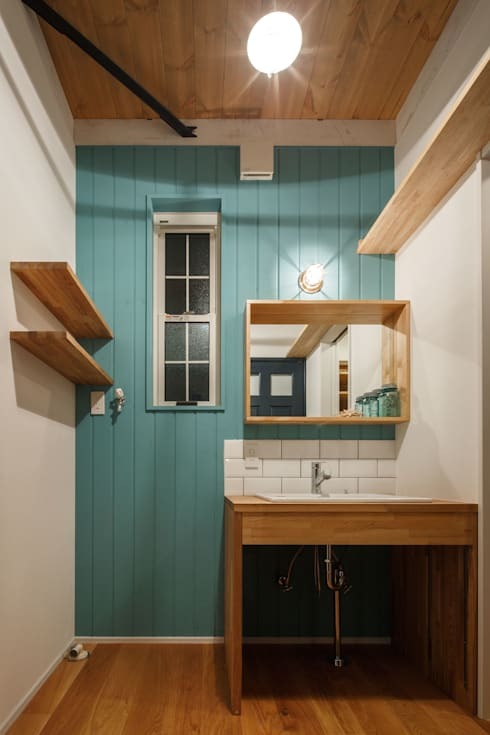 The simple wooden shelves add to the practical slant of the bathroom. 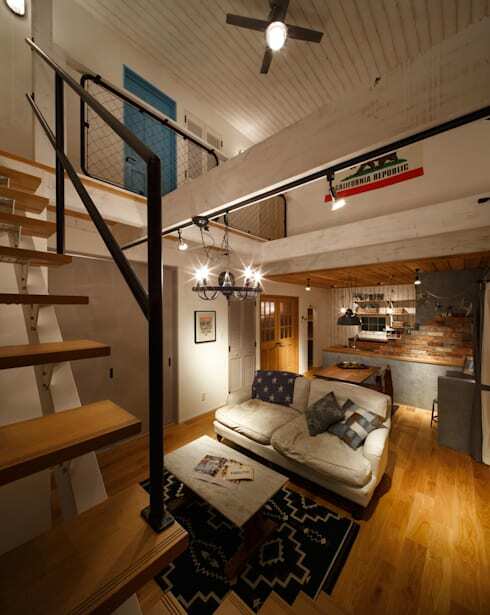 A simple, industrial-style staircase connects the more public living areas on the ground level to the second floor, which houses the bedrooms and the bathroom. From this view we can get a better idea of the open-plan layout where each zone has its subtle separators. The living room, for example, has been placed right under the high ceilings while the dining area straddles the area between the latter and the low wooden ceilings of the kitchen. To see another unusual project, check out The tiny wooden home full of warmth and charm. 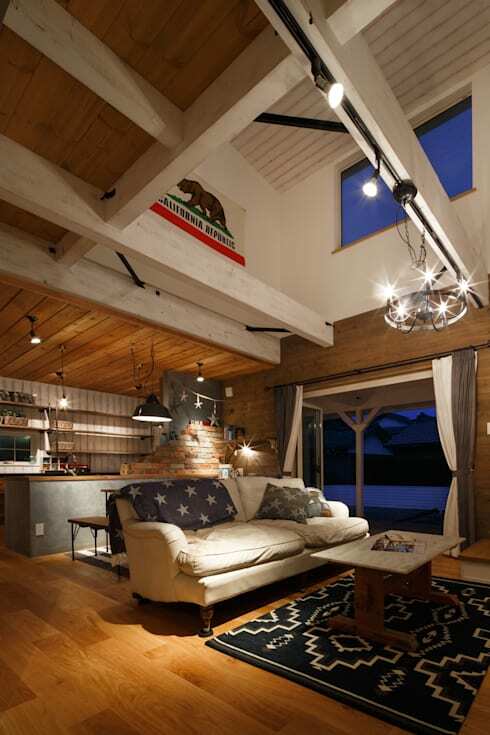 What did you think of this cool industrial-style home?